Our 2017 gold price forecast shows the metal continuing its record gains throughout the rest of the year. The price of gold is up 3.3% this month to $1,292 – the highest level since Nov. 4, 2016. The rally has come as investors flock to safe-haven assets following recent uncertainty surrounding U.S. relations with Syria and North Korea. 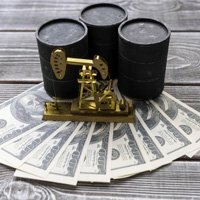 While these geopolitical events are just now emerging, Money Morning Resource Specialist Peter Krauth has identified two other factors that will lift the gold price higher in 2017. In fact, he expects it to climb 8.4% by the end of December. First, we'll dive into the two bullish factors for gold this year. Then, we'll show you the best gold stock to buy right now to profit the most from the metal's 8.6% gain. The first factor is the increasingly unstable stock market. While the Dow Jones' 14% surge from November 2016 to March 2017 broke several records, there's no doubt that the market remains on shaky ground. The index is down more than 2% over the last month. Many experts fear the eight-year bull market is nearing an end, which could mean a big correction or stock market crash. Not only is our market overvalued, but there are simply signs of economic instability around the globe. First and foremost of these uncertain global events are the ongoing Brexit negotiations. On March 29, UK Prime Minister Theresa May took the unprecedented step of triggering Article 50, a clause that will begin the two-year process of the UK leaving the European Union. Another example is the French presidential election. A big component of front-running populist candidate Marine Le Pen's platform is letting France vote to exit the EU. Since the similar Brexit vote last summer caused global market volatility, many think a win for Le Pen would eventually have the same effect on markets. 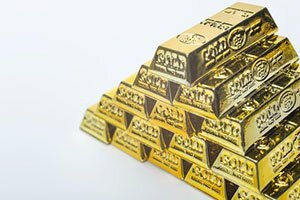 All of this will support the price of gold in 2017. That's because investors flock to safe-haven investments like gold during times of volatility. As more investors move their money into gold and gold stocks, the metal's demand will strengthen and lift prices. The second factor fueling our bullish 2017 gold price forecast is a rising inflation rate. As of March 2017, the annual inflation rate sits at 2.4%. While that's below the 2.7% seen in February, the rate still hovers near five-year highs. This lowers consumer spending on goods and services, essentially stifling overall economic growth. When growth in our economy begins to slow, investors begin to panic and sell their stocks. This makes gold more enticing since prices often increase when the stock market moves lower. Interest rates also play a role in this equation, since the Fed's job is to regulate inflation and control the market by adjusting rates. Since December 2016, we have experienced two interest rate hikes, and there is a high probability of several more on the horizon. When rates go up, the market often sells off in a panic and sends the price of gold higher. Since the March 15 rate hike, the S&P 500 has fallen 2%. Meanwhile, gold prices are up 7.6% over the same period. With the combination of a volatile market and inflation concerns, gold prices should move 8.4% higher to $1,400 by the end of 2017. While buying physical gold is one option to profit from this gold rally, purchasing, storing, and then selling gold bullion can be both cumbersome and costly. This is why we highly recommend investing in gold mining companies to reap the most profits from this gold bull market.